Ricania speculum is an Asian planthopper that was accidentally imported into Europe from the Far East. The planthopper was first observed in Italy in 2009 (Genoa province, Liguria) and is now considered established. The current range of R. speculum in Italy includes Liguria, Tuscany, Veneto, Piedmont and Latium. Ricania speculum is polyphagous and has been observed on wild and cultivated plants that are herbaceous or woody. This phloem feeder frequently feeds on Vitis spp. (cultivated and wild grapevines) and Clematis vitalba plants that are hosts of Flavescence dorée phytoplasma (FDp), a quarantine phloem-limited bacterial pathogen and a major threat to viticulture of several European regions. The aim of this work was to assess if R. speculum could act as a vector of FDp, thereby affecting disease epidemiology. To explore the role of R. speculum in FDp transmission, nymphs were allowed to feed on FDp-infected Vicia faba plants to estimate acquisition efficiency and successively transferred onto Vitis vinifera, V. faba and C. vitalba test plants to determine transmission ability. 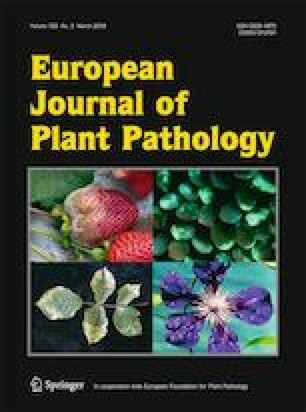 Ricania speculum was unable to transmit FDp; some individuals acquired the phytoplasma but supported a very low level of pathogen multiplication, compared with the competent vector. Consistent with transmission results, FDp was detected only in one out of 51 tested salivary gland samples. According to our results, the role of R. speculum in FD epidemiology is expected to be negligible. The authors would like to thank Caterina Perrone, Elena Zocca and Ivana Gribaudo for providing test plants and Flavio Veratti for routine phtoplasma strains maintaining. Conceived and designed the experiments: D. Bosco, C. Marzachì and A. Lucchi. Performed the experiments: M. Pegoraro, L. Galetto and E. Rossi. Analyzed the data: M. Pegoraro, L. Galetto and D. Bosco. Wrote the paper: L. Galetto. Critical revision of the manuscript: all authors. The work complies to the ethical standards of this journal. The authors declare that they have no conflict of interest. This research did not involve human participants. The manuscript was not previously published. All authors contributed and agreed to submission to EJPP. Rossi, M., Pegoraro, M., Ripamonti, M., Abbà, S., Beal, D., Giraudo, A., Veratti, F., Malembic-Maher, S., Salar, P., Bosco, D., & Marzachì, C. (2019). Genetic diversity of Flavescence dorée phytoplasmas at vineyard scale. Applied and Environmental Microbiology. https://doi.org/10.1128/AEM.03123-18.